Reflections Hair Salon is a full-service hair salon offering hair services and makeup artist services for clients in and around High Point, NC. We provide hair and makeup designs and looks for all special occasions or everyday. From bridal portraits to a style transformation, leave it to our trained stylists and colorists! Come be a part of our family and see what everyone is talking about! Your Full-Service Salon in High Point, NC! 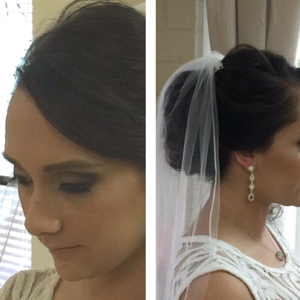 We Specialize In Bridal Hair & Makeup! 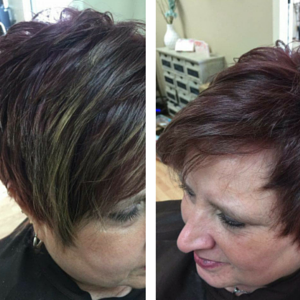 Expertly-Styled Haircuts, Colors & More! Whether you are looking for a new cut or a great style for a glamorous night out, we can do it. Count on our experienced stylists and makeup artists to create the perfect look for any occasion. We are here to help you and your bridal party relax and enjoy your big day! Our bridal team will travel to your destination or you can come to the salon to create your picture-perfect look. Let us enhance your natural beauty!